Shatta Wale proclaimed his own self the Dance Hall king but there will be very few in Ghana who will dispute his claim. The Ghanaian producer is known far and wide and has been able to distinguish himself in a number of respects. He courts controversy but he also knows how to keep bringing the music and entertainment that keeps him relevant. For the fans and haters alike, this article will share some lesser known facts about the man, the artist, and the enigma. Shatta Wale was born on the 17th of October, 1984 to Mr. Charles Mensah and Madam Elsie in Accra, Ghana. He was christened as Charles Nii Armah Mensah. Like all parents, Shatta Wale’s parents had some idea about where they wanted their son to go and that path led towards law, a path that evidently never worked out. Shatta Wale began writing and recording music from his high school days. He was not to drop out like many other musicians because his parents priced education highly but he would go into full-time music afterward. He got a load of inspiration from the formerly popular Ghanaian reggae musician, Yoggy-Doggy and first started out in his career with the stage name Doggy. After much hard work and persistence, Wale landed a new deal with a recording studio and then became Bandana releasing the hit track “Bandana from Ghana” in 2004. He has said that he chose the name Bandana because he favored the bandana as an article of clothing then. 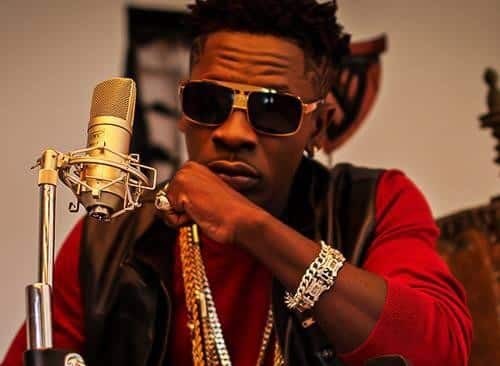 He took a long break and reappeared in 2013 as Shatta Wale. During an interview, the singer revealed he decided to rebrand as Shatta Wale after consulting God. Shatta is a Jamaican slang for ‘Gangster’, while WALE is an acronym which stands form ‘World Alerted Lyrical Entertainer’. In the silent period before bearing the stage name, he claimed to be off in Jamaica learning the music genre he now believes is ruling – Dancehall. Shatta Wale has broken a world record after becoming the first musician to perform 118 Tracks in One Night. The momentous performance took place on July 23 at Nima. The pouring rain did not stop Shatta Wale or his faithful fans from taking full control of the night. Wale’s propensity to controversy started to emerge after the 2013 Vodafone Ghana Music Awards (VGMA). What made the moment so significant? The dancehall musician and producer claimed that he was the rightful nominee to win VGMA’s Dance Hall Artiste of the Year, accusing them of giving it to an undeserving female Dancehall artiste “Kaakie”. His claims became more public when he afterward released a song titled “Me Need No Awards” in which he dissed the VGMA for their supposed slight. It was after this entire episode that he declared himself Ghana’s Dance Hall king with a new release titled ‘Dancehall King”; a hit that brought him fully into the limelight. The music artiste has ridden that wave since then, thriving on controversy and sharing his opinions no matter how scathing they may seem. In 2014, Shatta Wale proved his collaboration chops after his song Wine Ya Waist’ featuring Davido from Nigeria, was named among the five must listen to tracks from around the world. Also in 2014, his song ‘You Can’t Touch Me’ was widely used by the Dancers Against Racism Campaign Worldwide. Shatta Wale has also displayed some acting chops. He starred alongside Bisa Kdei and Majid Michel in one movie and was also in the movie Never Say Never featuring Charles Ko Bucknor, Edward Kufuor , nd Paulina Oduro. Nii Akramah Mensah, father of the famous Dance Hall King has been trending the internet all over Ghana. Both father and son share a tight bond and recently the older man was nominated and endorsed as the new chief of Ngleshie Amanfro under the stool name of Nii Akramah Nyonmo Bei II. Following his endorsement, his son Shatta Wale commended the people for their support and love and promised to give support, promote development and also foster unity in the area. Just as he enjoys a warm relationship with his father, Nii Akramah Mensah, Wale is also a favourite son of his mother, Elsie Evelyn Avemegah. He had once shared a picture of himself and mother on Facebook after he bought her a car for her birthday, adding that he hopes to buy her a mansion very soon. 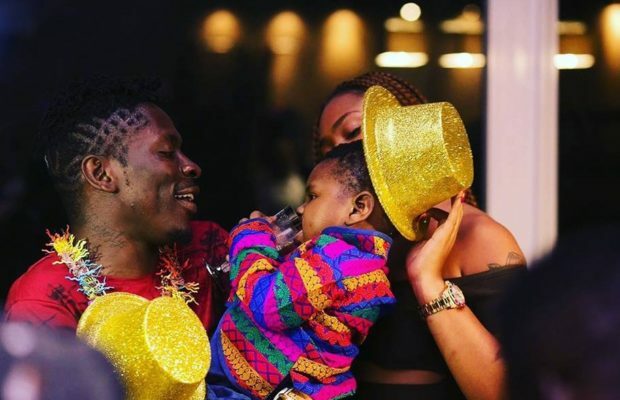 Shatta Wale is traditionally married to his girlfriend Michelle aka Shatta Michy. They have two kids which makes it quite confusing that the dancehall king once said that he will finally settle down and claim the full responsibility of family life when he turns 72. Contrary to the “irresponsible” reputation most musicians are alleged to have, Wale has been lauded especially by actress Grace Omaboe, popularly known as Maame Dokono who said the singer is a truly a responsible family man. With a successful career in entertainment, money is found to flow. Shatta Wale is one who likes to show off his assets to let the world know that hard work and dedication is the key to success. In 2016, the artiste bought a mansion at East Legon and shared a picture of himself standing behind the swimming pool of the mansion. Therefore, judging from his $1 million mansion, ranges of luxury cars, businesses and endorsements, Shatta Wale’s estimated net worth is around $6.2 million. He is also the CEO of Shatta Movement and also the brand ambassador for Guinness Ghana Breweries – another plus to his cash flow. Shatta won Best New Entertainer at the International Reggae and World Music Awards. Nominated for the maiden GN Bank Awards as the People’s Choice Male Musician of the year. He was also named the 38th Most Influential Ghanaian by E-TV Ghana in 2015 in their annual survey of influential people in Ghana. Full Name: Charles Nii Armah Mensah Jnr.